in a broad range of play and learning-based activities at HHFL. HHFL’s Saturday Morning Kids Club has become an integral part of the HHFL curriculum. The first Saturday morning activity-based initiative was introduced in 2007 with a focus on art and sports. Since then, the scope of activities has grown to incorporate a broad range of fun sessions that are led and supported by HHFL youth, project staff and community volunteers. Activities include sports, arts and crafts, music, drama, computer, sustainable gardening and current events discussions. The Saturday Morning Kids Club promotes fun, friendship, creativity, teamwork and leadership in a safe and nurturing environment. Soccer, volleyball and acrobatics are some of the children’s favourite sporting activities on Saturday mornings. Often the kids will self-organize teams and play against each other. Tire racing is also very popular with the small ones! Kickboxing with volunteer kick boxer, Salim, has become a highly anticipated weekly event as is yoga and stretching with HHFL Board Member and volunteer, Moyra. Arts and crafts is very important at HHFL. It gives an opportunity, especially for the shy children, to express themselves through art and work through their feelings. Arts and crafts classes are normally led by artistically inclined HHFL youth who share their passion and creativity with the smaller kids. Art projects often include painting, drawing, sculpting and modelling with the use of natural materials. Music and drama are a staple in African life. The HHFL children enjoy putting together self-led musicals and plays for their friends. Often the children can be heard and seen singing, dancing, drumming and acting as a way to express themselves. The children always look forward to staging their annual Christmas and Easter plays with lots of musical interludes! With the help of a kind volunteer, the HHFL children and youth started a ‘shamba’, which means a little garden, in the compound. 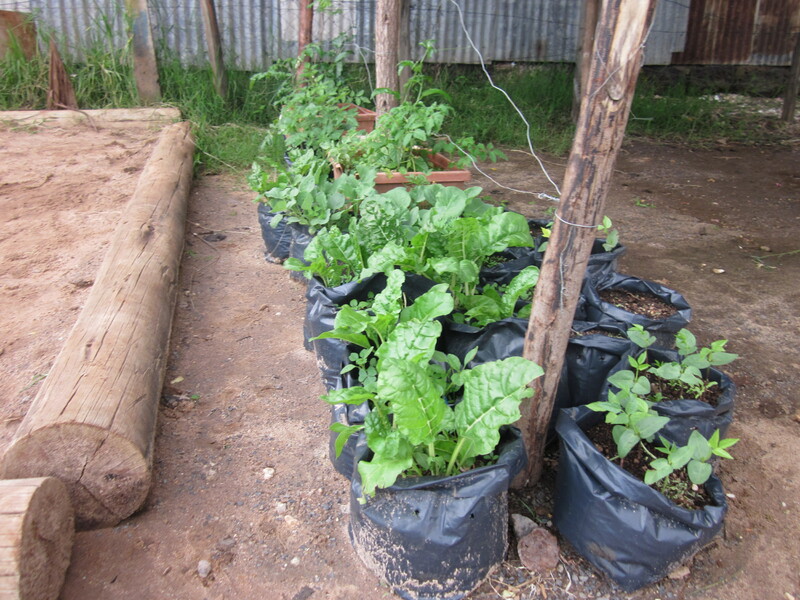 They grow spinach and tomatoes, which are often used by Mama Margaret, HHFL’s cook, to make nutritious meals. Gardening has become a favorite past time and the kids take wonderful care of their flourishing garden.